Known as the place of fun and entertainment, Dubai has something in store for everyone. With so many places to visit, you will be short of time to and experience them all. Don’t fret; we’ve created an exclusive list of things to do in Dubai to bring the most out of your trip. And yes, we’ll keep on adding more to the list, because Dubai is growing every day. 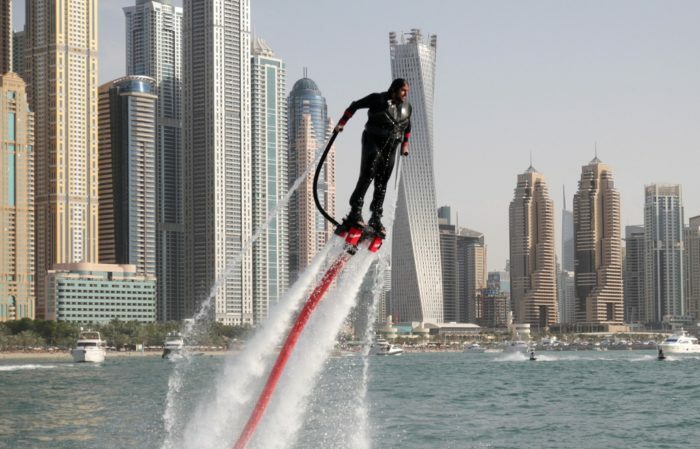 An extreme water sport, flyboarding is an amazing experience that attracts a large crowd in Dubai. Connected by a hose to the foot-mounted board, the great Jet ski pumps down water with such force that you will be flying up in the air experiencing an ecstatic adrenaline rush. No, you don’t need to be afraid even if you have no prior experience. After a set of brief instructions by professional instructors, you are ready to fly high and soar the blue waters. Dive like a dolphin and let your heart thump with excitement. It has to be one of the best things to do in Dubai. Dubai’s wonder bus is perfect to give a bird’s eye view of all the best landmarks of the city interestingly. Not only is the bus trip unique, having visited all the sites will give you an option to visit the ones you like the most again in-depth. 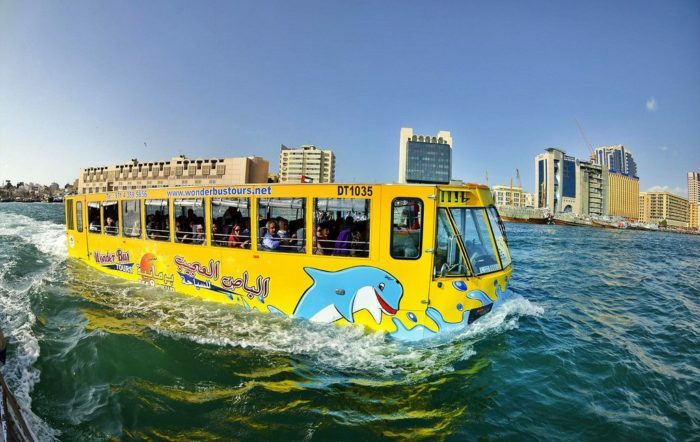 Coming back to the unique bus ride, Wonder bus is an amphibious bus that starts from one of the commercial centers of Dubai taking you through some of the ancient archaeological sites and then enters the creek by turning into a boat. Yes, you read it right, it does turn into a boat floating in water with you sitting on it. 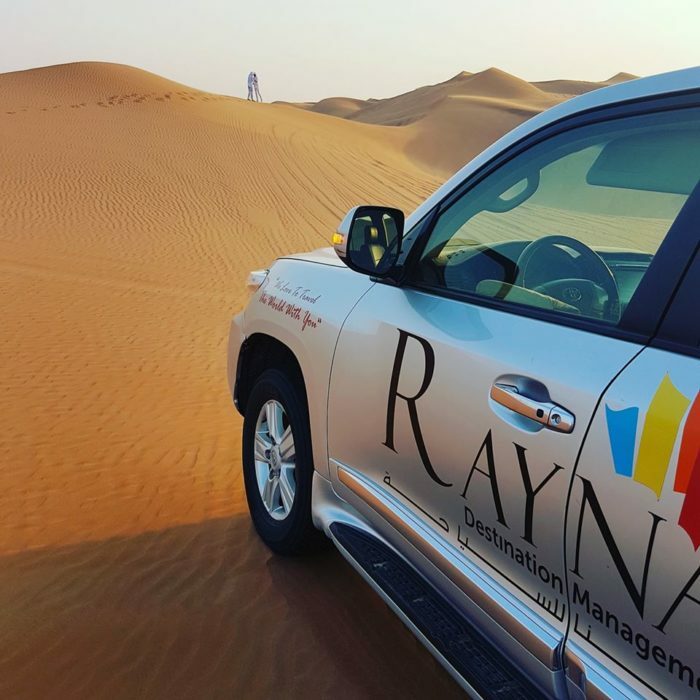 During the tour, information is provided regarding the archaeological sites and about UAE. Dubai and shopping are almost synonymous with each other. 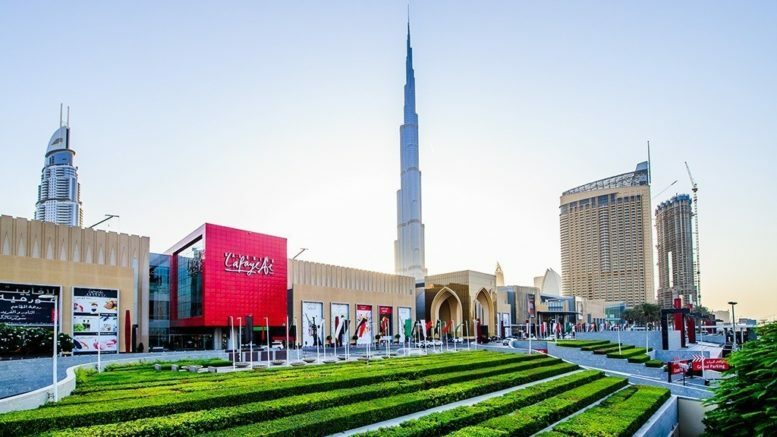 Go on a shopping spree in Dubai Mall. 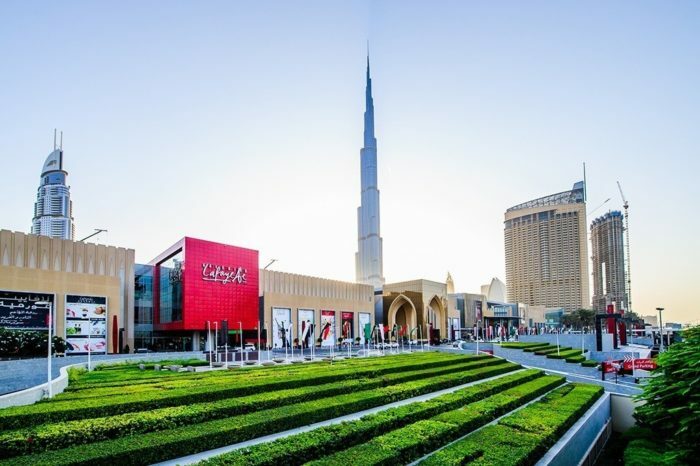 Being one of the biggest malls in the world, the Dubai mall will leave you spoilt for choices. With the most luxurious brands displaying the best of their products don’t blame us if you shop until the last penny. With over 1200 shops and over 250 restaurants at your disposal, running out of choices in out of the question. Thus, a visit to the Dubai Mall is among the most popular things to do in Dubai. 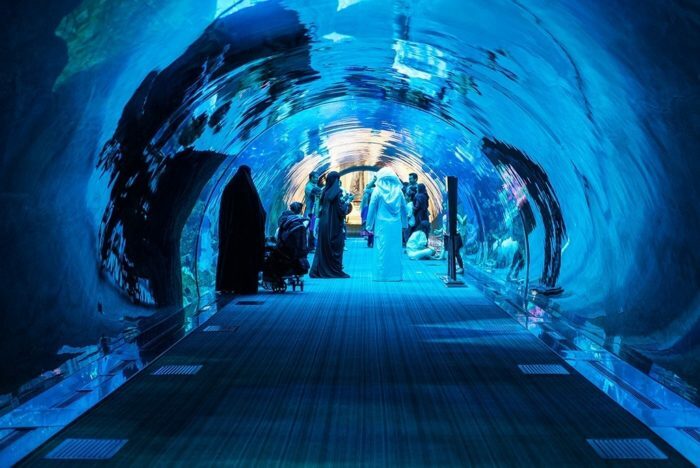 One of a kind and the biggest aquariums in the world, the Dubai aquarium is a whopping 10 million liter tank which holds more than 33000 aquatic animals. Starting from the ground floor, the aquarium rises to the third floor. This gigantic aquarium holds not only varieties of fishes such as rays and sharks, but also a large crocodile and tortoise too. With over 140 species of sea life, you forget that you are inside a mall. For those who love skating over ice, Ski Dubai packs a punch. Spread over an area of 22500 sq ft, Ski Dubai is the largest ski rink in the Middle East. Be it skiing, snowboarding or simple throwing snow at each other you can let the child in you out here. With mountain themed settings and five slopes of varied sizes caters to an audience of all sizes with different professional levels. Everything, from jackets to gloves, to boots are available within the facility. 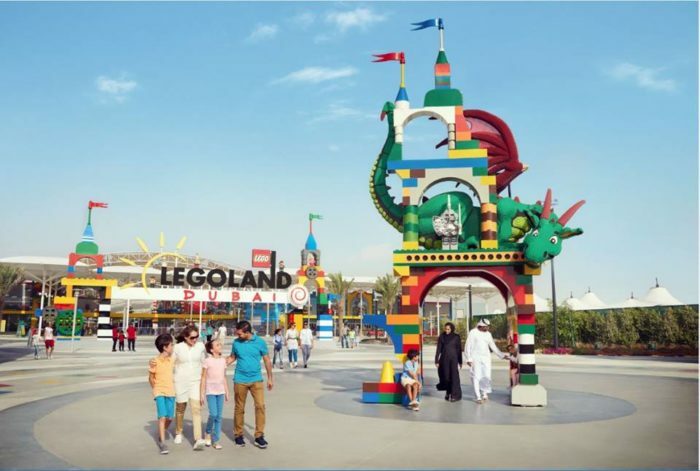 A fun destination for kids and adults alike, Legoland Dubai is a part of the Dubai Parks and Resorts. Spread over a huge area, Legoland Dubai allows everyone to take part in Lego themed adventures. With huge water slides and interactive rides, it will help you relax with your families and your loved ones. The models and buildings inside this park will definitely turn your heads. With over 20 slides and attractions designed specifically for kids between 2 to 12 years, your kids will have a blast. Even as an adult, we bet you’ll experience a blast of your childhood and enjoy it. Bashing the dunes on 4 X 4 vehicles is as fun to experience as it sounds. With sands as far as the eye can reach, riding on the desert bashing the dunes is an experience that truly completes your trip to Dubai. They say no visit to Dubai is complete with experiencing the Dubai desert safari. Consider adding the overnight camping to your safari package and enjoy the calm night desert experience. Soak in on the peaceful view of the moon shining brightly over the desert while enjoying some Arabian delicacies. And before you leave the desert, don’t forget to take a camel ride. A manmade wonder that needs no introduction, The mighty Burj Khalifa is known for its magnificence and grandeur. 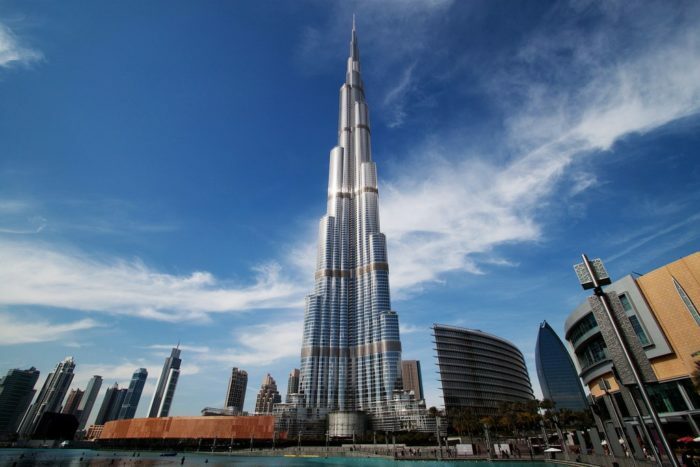 Modern architecture is standing tall as one of the tallest buildings in the world, Burj Khalifa is a sight to behold. With over 18 world records in its kitty, Burj Khalifa is seen by millions for its fireworks during New Year’s Eve. 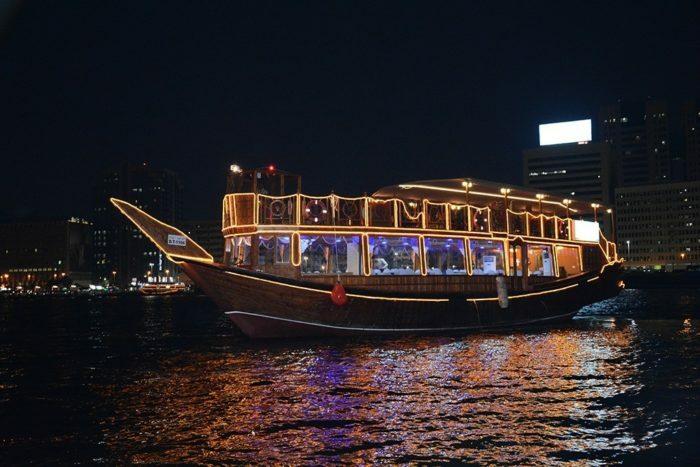 Hop on a traditional wooden dhow and cruise the Dubai creek. With modern structures touching the sky, you can enjoy a beautiful view during the day. At night bedecked with lights, the glistening water allows you to soak in the spectacular view. A perfect way to admire the glittering night sky of Dubai, Dhow cruise is your best chance to experience the traditional Tanura dance and enjoy a relaxed evening after the overwhelming day of Dubai’s grandeur. 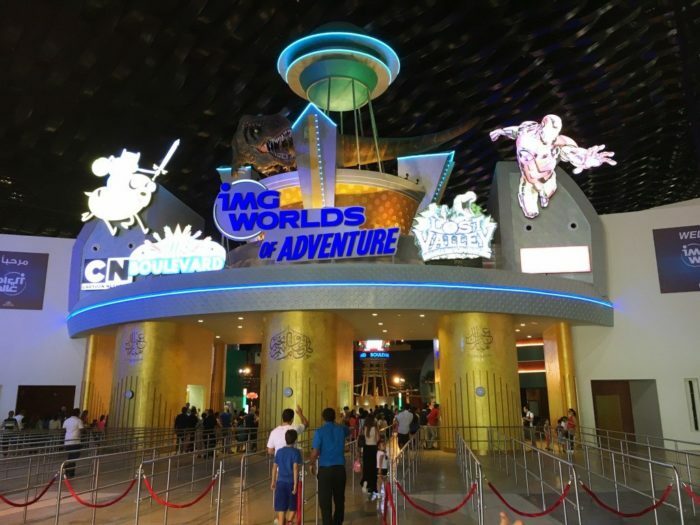 A mega themed indoor amusement park, the IMG World of Adventure is divided into four zones. Spread over an area of 1.5 million sq ft, it can accommodate over 20,000 guests at a time. From roller coasters to thrill rides, and iconic Marvel and cartoon network characters, it also boasts of a 12-screen Novo cinema complex. 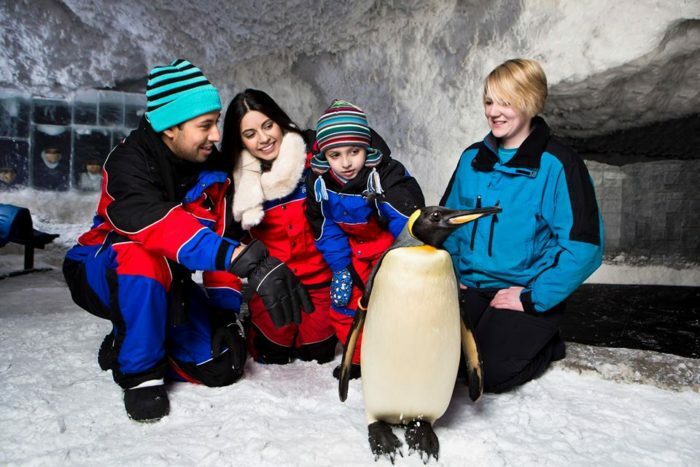 With something for everyone, IMG World of Adventure is one place that you shouldn’t miss. Catching up with everything in Dubai in a short span of time is difficult, but we have captured the must-do activities for you and your loved ones. This vacation, travel to the land of entertainment and cherish the memories with your family and friends. 2 Comments on "10 Most Exciting And Best Things to Do in Dubai"
The article is very well written and really helpful in planning the Dubai Tour, I even looked for the Abu Dhabi City Tour Deals from Dubai. Thank you so much for sharing it.